England’s 211-run win over Sri Lanka was the best of Joe Root’s captaincy, according to Michael Atherton. The victory in Galle ended a run of 13 overseas Tests without success for England and puts them 1-0 up in the three-match series. Following on from a dismal winter last year, Atherton believes a first away win since Root took over as skipper is an important marker. "The best [win] of Root's captaincy I think, his first win away from home," he told Sky Sports. "I know he's had some success at home but last winter in the Ashes and in New Zealand was pretty desperate. "Here in Asia, where England have struggled so much, and at this ground where they've struggled, it's a significant win, particularly after that first session when they found themselves five down very cheaply. After that they virtually dominated every session of the game and it's a thumping win." 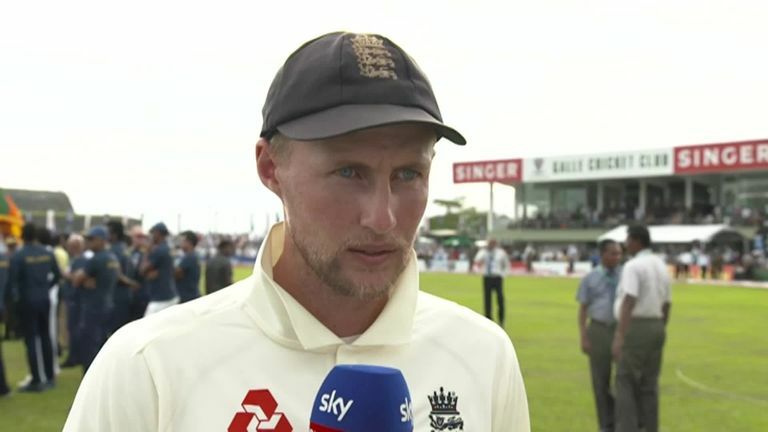 Atherton also thinks Root enjoyed his first experience of captaining in the subcontinent, largely due to the variety of bowling at his disposal, with James Anderson and Ben Stokes offering the right-arm pace options, Sam Curran the left-arm alternative and, with Moeen Ali, Adil Rashid and Jack Leach in the side, he also had an off-spinner, a leg-spinner and a left-arm spinner to call upon. "You sensed that he enjoyed it out there," he said. "I know what it's like, I remember captaining in New Zealand when we had a really balanced attack. "It was something like [Darren] Gough, [Andy] Caddick, [Dominic] Cork, [Phil] Tufnell, [Robert] Croft and when you feel you've got the tools at your disposal you feel like a bit of a chess grand master rather than playing against a chess grand master with no moves to play! "I agree with Bumble, I thought Ben Stokes' spell either side of lunch was just a reminder that you don't forget seam or pace here in Sri Lanka and depending on what the conditions are like in Pallekele, they've got some very interesting decisions ahead. PODCAST: Bairstow or Burns in Kandy? "It's a good sign that hitherto unheralded players or players who have not been certain of their place have made contributions. You're talking Foakes and Jennings, I thought Leach was impressive - he gave Root control, which he didn't have at all last winter. That reflects well on Joe and the welcoming atmosphere in the team as well." Watch day one of the second Test between England and Sri Lanka, in Kandy, live on Sky Sports Cricket from 4am on Wednesday.